STAFFORD BROTHERS LIVE AT SEDUCTION ON WEDNESDAY 8th AUGUST FROM 10PM. 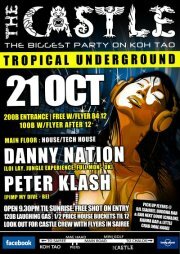 Tickets: 400 baht at the door & 50% off before midnight with flyer. For info & bookings, please call Thomas on 0811881230. YES, THEY ARE COMING DOWN UNDER!!!! 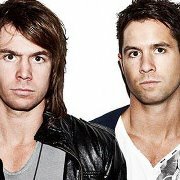 Stafford Brothers are the house music DJ and Production duo of Matt Stafford and Chris Stafford based on the Gold Coast, Australia. They are the first Australian DJ’s to get their own reality TV show on a major network. Both brothers perform at all DJ shows and are sometimes accompanied by instrumentalists and vocalists. 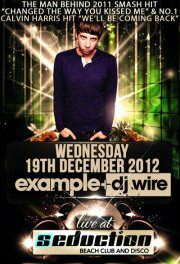 They are currently the #1 ranked DJs in Australia according to the 2011 inthemix DJ Awards. The first Stafford Brothers single was a cover version of ‘More Than a Feeling’ originally performed and written by Grammy Nominated band Boston. The track was released in 2006. In the same year they signed a record deal with Australian dance music label Central Station Records, (now owned by Ministry of Sound Australia). They later signed a record deal directly with Hussle Recordings and MoSA, which produced five compilations mixed by the Stafford Brothers and five single releases. The highest charting single was ‘Wherever’, a collaboration with UK producers the Hoxton Whores featuring Frank Stafford on vocals, released in March 2009. The track reached #2 on the Aria Club Chart. 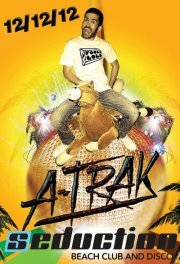 It was also featured in the end of year Aria Club Chart Top 50 tracks of 2009 coming in at #17. The Stafford Brothers began to work with International record labels in late 2009. ‘Come My Way’, a collaboration with UK producer Tom Neville (also featuring Frank Stafford on vocals), was released by Toolroom Records. Toolroom Records is a UK based underground house label owned by Mark Knight. Most recently the Stafford Brothers collaborated with Dubruck & Klein featuring Ollie James on vocals. ‘Get Away’ was released on Armin Van Buuren’s record label Armada Music. The Stafford Brothers have remixed Boogie Pimps, Kaz James and Macy Gray, Freeform Five, Robbie Rivera, Dan Le Sac vs Scroobius Pip, Princess Superstar, and Dirty Funker among others.